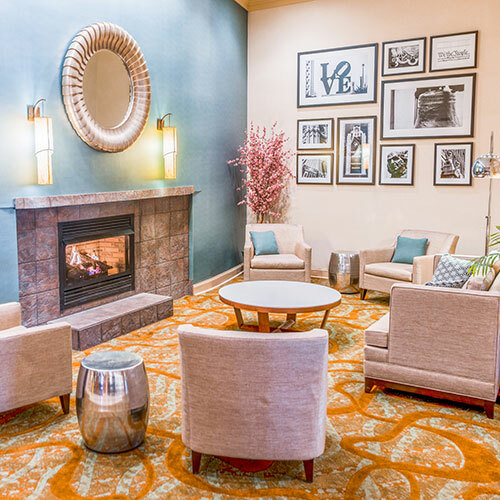 Just behind the airport, this hotel features attractive guest rooms and a café that offers Starbucks coffee. Be sure to grab a warm chocolate chip walnut cookie during check-in. Take advantage of the departure screen in the lobby to check for flight delays or cancellations. Smoke free premises. 331 units. 9 stories, interior corridors. Accessibility (Call). I-95 exit 13 northbound; exit 15 southbound, 0.5 mi e; just e of SR 291. 4509 Island Ave 19153. Station: Eastwick. coffeemakers, wireless Internet, safes. Some: refrigerators, microwaves, high-speed Internet. valet laundry, airport transportation, room service.